Womanswork is women owned and run, so they know what women want in a gardening glove. 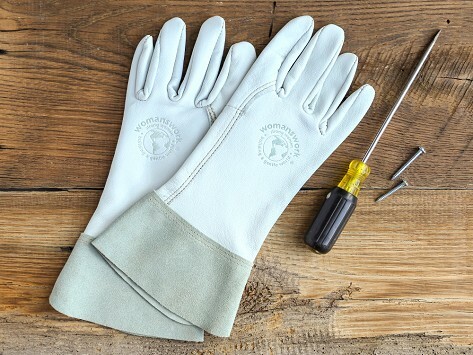 Gardeners Goat Skin Gloves were designed to fit a woman's hands and the way women work. Made of buttery-soft top grain domestic goatskin leather, they feature a protective cowhide leather cuff that’s longer than most garden gloves. Pull them on, and they fit snugly around your fingers and hands. The leather is thorn-resistant, breathable, and perfect for everyday maintenance. Dimensions: 12" x 5" x 1"
Fits well and able to do my gardening with ease. Gave these as a gift and everyone wanted to know where I got them! Very soft and fit perfect. Have had my garden gloves for 2 years now and I love them. Very well made! Made in the USA of top-quality, buttery leather. Designed by women gardeners for women’s hands. And made to last. These are the women’s work gloves we’ve been looking to bring to the Grommet community. 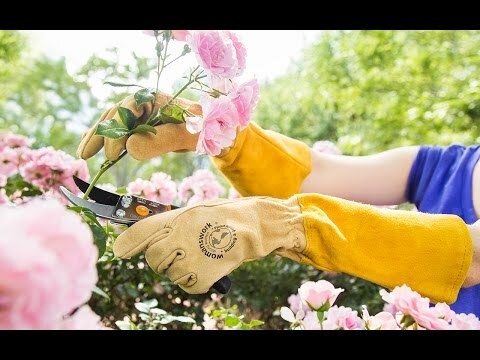 Womanswork gloves are uniquely suited to the shape of a woman’s hand and the way they garden. Women own and run the company and they carefully observed what’s different about women and the way they work—longer, narrower fingers and narrower palms. And women like to feel what they’re doing when they garden. 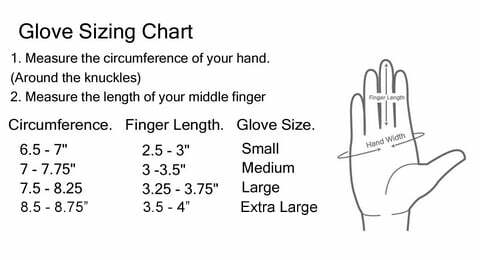 The results are these tough, supple Original Pigskin Gardening Gloves, super-protective Gauntlet Gloves with elbow-length cuffs, and form-fitting Gardeners Goat Skin Gloves. All pairs are made from durable, breathable leather that protects against thorns and brambles, and is comfortable even on warm days. Womanswork work gloves have truly been made with a woman’s touch.